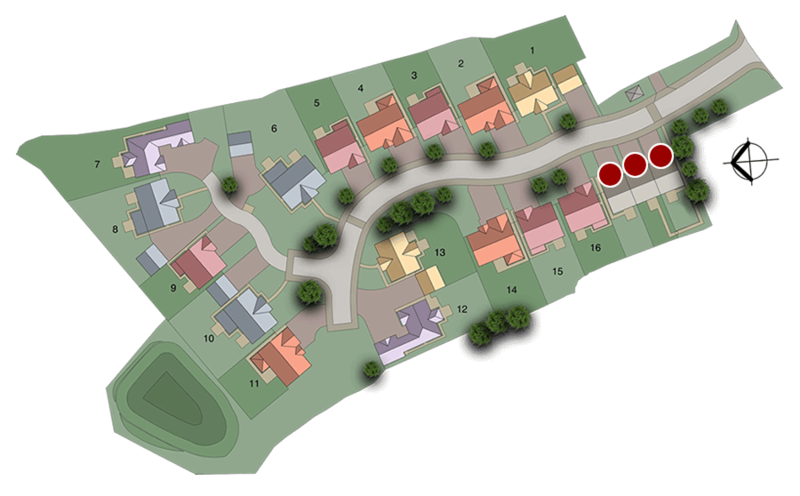 An attractive collection of 19 thoughtfully-designed 5-bedroom detached new homes and 2-bedroom affordable bungalows, inspired by their charming village setting near Yarm and presented within a tree-lined development, benefitting from views of the open countryside. 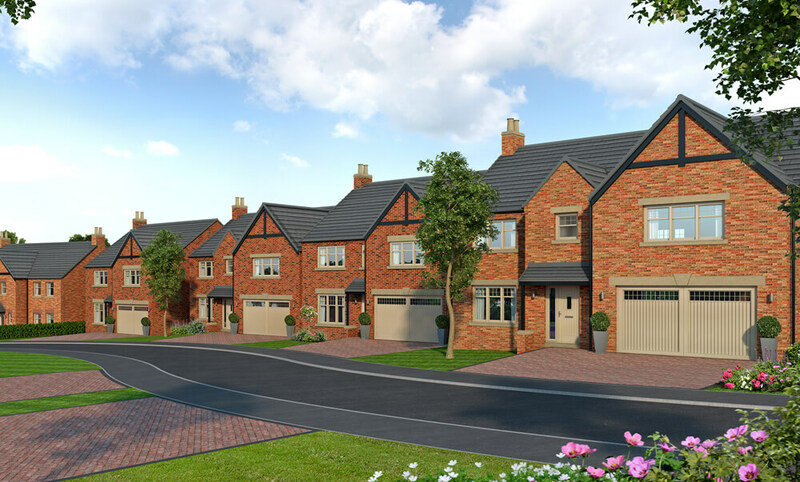 A considered blend of modern open-plan living and traditional charm fuses stately architecture with contemporary interiors, superior specification and spacious gardens for delightful family living. 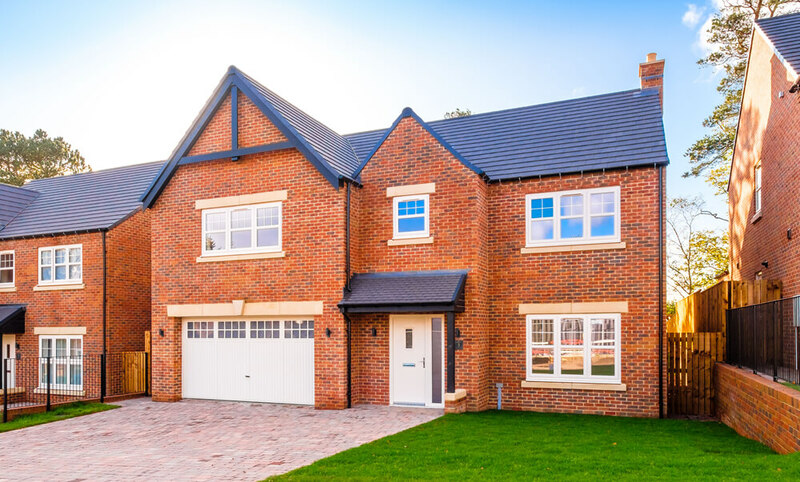 The Sandringham is a spacious 5-bedroom detached executive home, featuring an extensive open-plan kitchen, with dual access to the turfed garden. 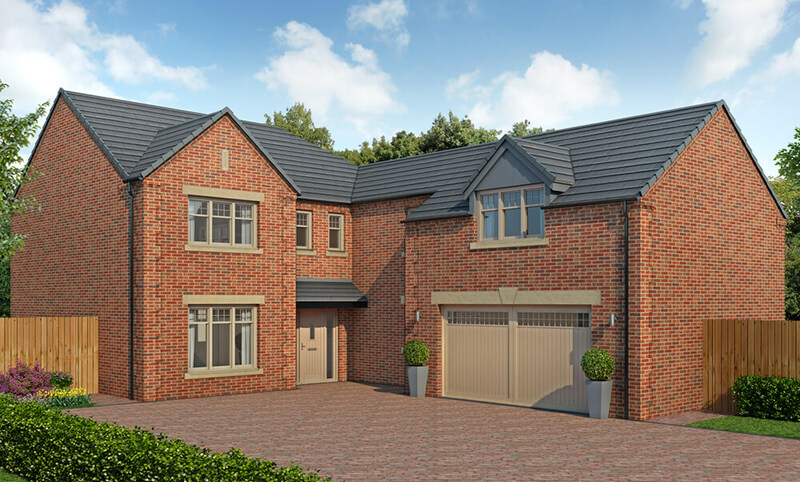 Make this 5-bedroom detached executive home yours and enjoy the spacious open-plan kitchen, dining and family area with bi-folding doors, plus separate living room and integral garage. 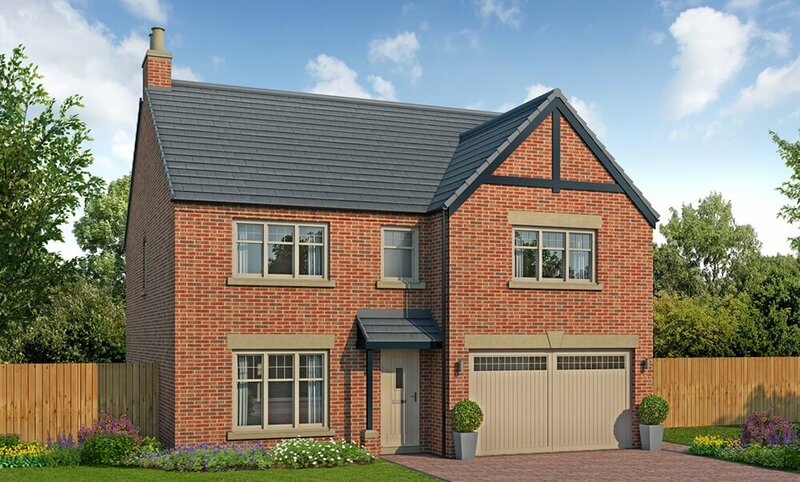 Enjoy a thoughtfully-designed 5-bedroom detached home with a very generous open-plan kitchen, living and dining space with a relaxing snug, plus separate living room and integral garage. This one-of-a-kind 5-bedroom detached home and enjoy the large open-plan kitchen, living and dining area, separate snug and living room, plus the indulgent master bedroom with a large walk-in wardrobe. 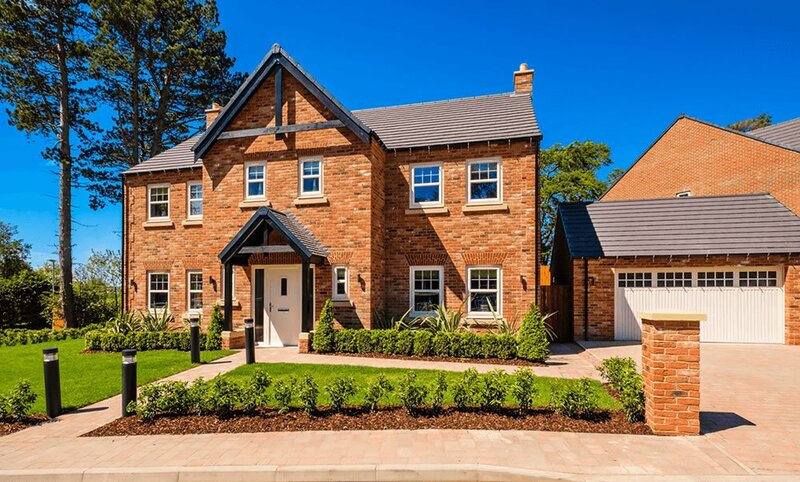 Unlock the luxury of a spacious 5-bedroom detached executive home with an abundant hallway to welcome and impress, leading into a large open-plan kitchen, dining and family area with bi-folding doors. Be impressed by the perfectly-proportioned stature of this 5-bedroom detached home with an extensive kitchen, dining and family area across the rear and a separate living room and snug. Nestled in a peaceful North Yorkshire village close to the River Tees, Kirklevington enjoys good local amenities with highly-regarded schools on its doorstep and an active village hall offering a wide range of community activities in which to get involved. Its close proximity to the charming cobbled high street of Yarm also opens up a proud market town culture of thriving independent shops, delicatessens, restaurants and more. There is an excellent choice of local schools for children and young adults in the area, including the ‘Good’ Ofsted-rated Kirklevington Primary School less than 200 metres from your home. The well-regarded academy-status Conyers School offers great potential for secondary and sixth form students, or for private education there is no better choice locally than Yarm School – winner of the North East Independent School of the Year award in the Sunday Times School Guide 2019. It’s just a short drive to the A19 from Kirklevington, providing convenient commuter links northwards to Middlesbrough and Hartlepool, as well as Thirsk and York to the South. The A66 is also nearby, opening a useful connection to the major A1 motorway in under 30 minutes. If travelling by train, Yarm has its own station within easy distance of Highgrove, with direct services to Middlesbrough, York, Leeds and Manchester. There is also a network of local bus services and, for international destinations, Durham Tees Valley Airport is just 12 minutes away by car. You don’t need to travel far to experience fine dining as the highly-acclaimed Judges Country House Hotel at Kirklevington Hall serves first-class cuisine from its Conservatory restaurant, which has been awarded the Michelin Plate in 2019. Set in a Victorian country house nestled on 22 acres of gardens and woodlands, this elegant hotel is less than 1 mile from Highgrove. Or why not take in the captivating views of Leven Valley on the edge of the Yorkshire Moors by dining at Crathorne Hall Hotel? Nearby Yarm plays host to a fantastic mix of bistros, local pubs, restaurants and cocktail bars to suit a variety of tastes and occasions, including the Parisian-inspired café Muse and the specialist wine bar and charcuterie Fourteen Drops. At Highgrove you can enjoy an active village lifestyle with a wide range of community clubs and social groups, plus many nearby sporting activities. 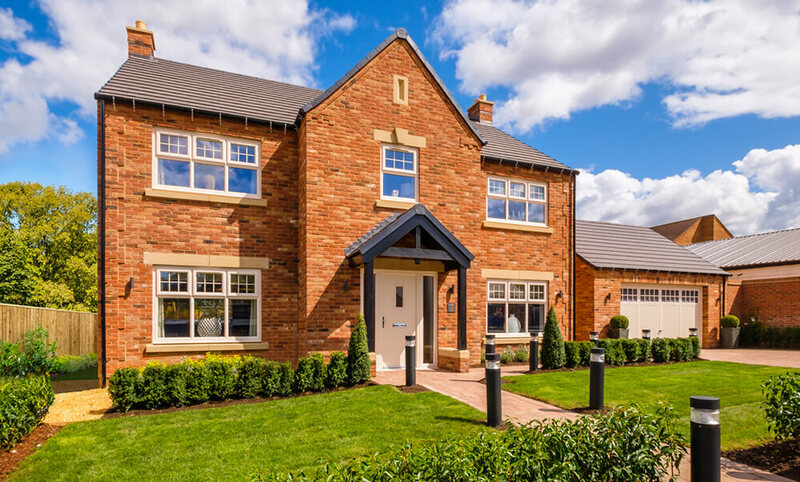 Positioned close to the thriving market town of Yarm you can benefit from the blend of traditional shops such as butchers and bakers sitting alongside artisan eateries and stylish independent shops. Having easy access to both North Yorkshire and County Durham, you will also be well-connected to a plethora of activities right across the North East, including the family attractions of Newham Grange Country Farm, the exotic Butterfly House and the Victorian heritage of Preston Park. Sitting atop the expansive North York Moors, you’re also perfectly-placed to explore the vibrant landscape of the National Park as well as the stunning North Yorkshire coastline, which can be reached in less than 30 minutes.